Did security negligence contribute to this double shooting? 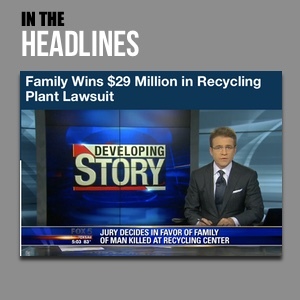 Read Our Legal Take to find out if the victims may have a claim for compensation. A shooting outside the Sportsman’s Royal Manor apartment complex reportedly left two young men injured Wednesday, June 15, 2016. News 3 Las Vegas reports, “The shooting occurred around 10 a.m. at Sportsman’s Royal Manor on the 5600 Boulder Highway, near East Tropicana Avenue.” Two male victims were apparently injured during the shooting. “Both were transported to Sunrise Trauma,” according to KTNV News. Their current conditions have not been released. Police have apparently not yet identified a suspect or motive in the attack, presumably leaving many residents concerned for the safety of their families. 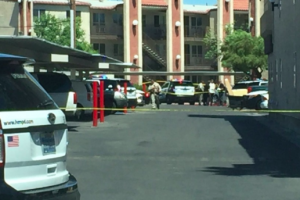 “Wednesday’s shooting is the second reported such incident at the complex since last September in a neighborhood known for higher than normal crime rates,” KTNV News reports. Apartment residents and guests have a right to feel safe and secure within the community. Given the reported history of violence on and near the property, The Murray Law Firm questions the level of security provided at the apartment complex and whether this horrific attack may have been prevented. Was the complex aware of any prior incidents of violence on or near property? If so, were additional security precautions implemented by the property owner or management to deter crime? Generally, property owners are required to protect all residents and guests legally on the premises from any foreseeable harm. Should the facts of this matter reveal that the apartment complex owner or management company failed to provide adequate security to protect those on its premises, the victims may seek justice and elect to pursue a legal claim for their injuries.